Check into Hemingway’s favorite Sun Valley hotel. Stroll along the moody, windswept moors that inspired the Brontë sisters. Have a pint at the New York City tavern where O. Henry penned The Gift of the Magi. Featuring more than 500 literary sites in the United States, Europe, and elsewhere, Novel Destinations invites readers to follow in the footsteps of much-loved scribes. The book begins with thematic chapters covering author houses and museums, places to drink and dine, festivals, and walking tours. Also included are 11 in-depth “Journeys between the Pages” that roam through Franz Kafka’s Prague, James Joyce’s Dublin, Louisa May Alcott’s New England, Harper Lee’s small-town South, and other locales. 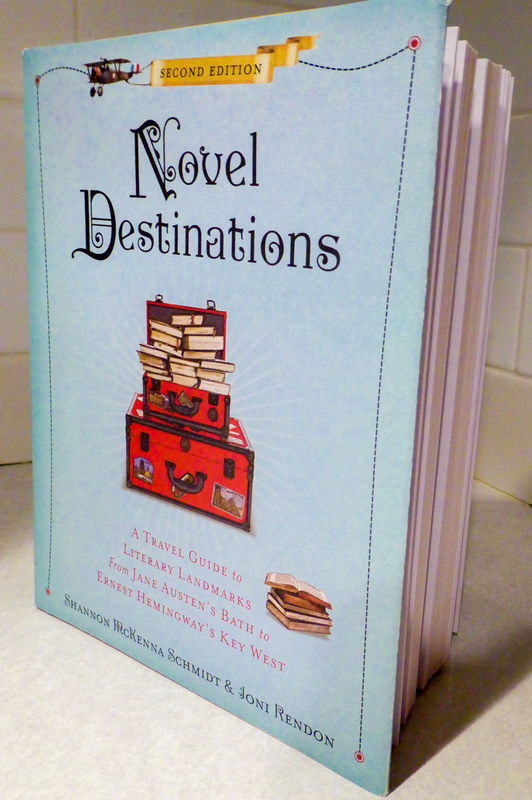 Filled with anecdotes and behind-the-scenes stories, Novel Destinations is an entertaining, informative guide for wandering bibliophiles and armchair adventurers alike. • An in-depth narrative chapter transporting readers to the atmospheric Yorkshire Moors, terrain made famous in Wuthering Heights and other novels by Charlotte, Emily, and Anne Brontë. • Spirited, red-headed orphan Anne of Green Gables has charmed readers since she first appeared in print in 1908. A brand-new section features the Green Gables Heritage Place and other Anne-related landmarks on Prince Edward Island in Canada. • And other literary treks, tours, and more, along with colorful new anecdotes and updated details on opening times for each site. Signed Copies (by Shannon): Contact Little City Books in Hoboken, NJ, or send Shannon an email (mckenna.shannon@gmail.com) and she’ll facilitate with the store.